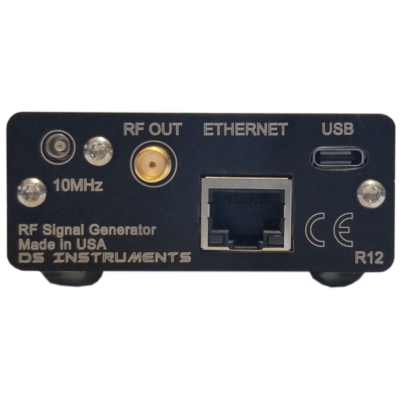 The NEW DS Instruments SG6000E RF Signal Generator continues to set the industry standard in affordable ultra-compact RF Signal Generation. 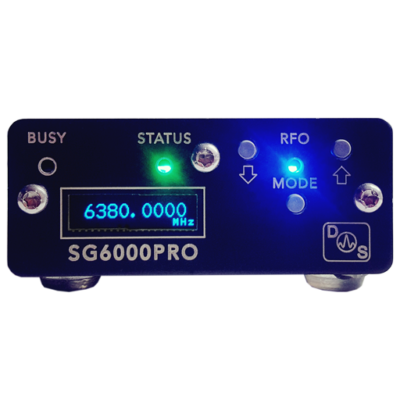 The SG6000 enables users to generate a high quality RF signal easily and at extremely low cost without need for a host PC. 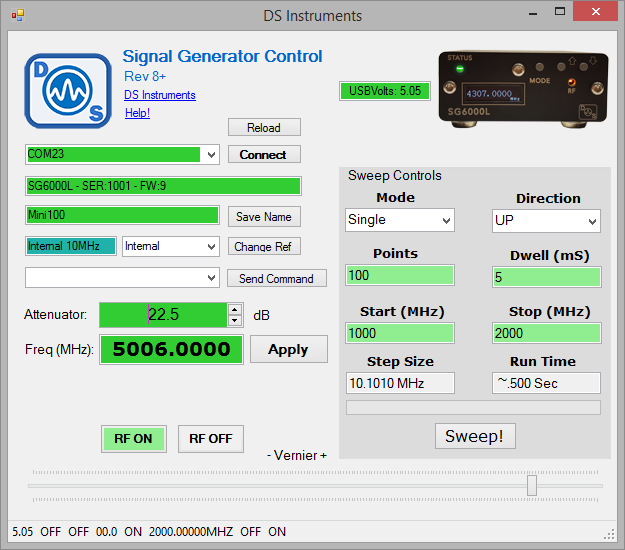 This fully synthesized, modern fractional N synthesis device covers 7 octaves from 25 to 6000 MHz. 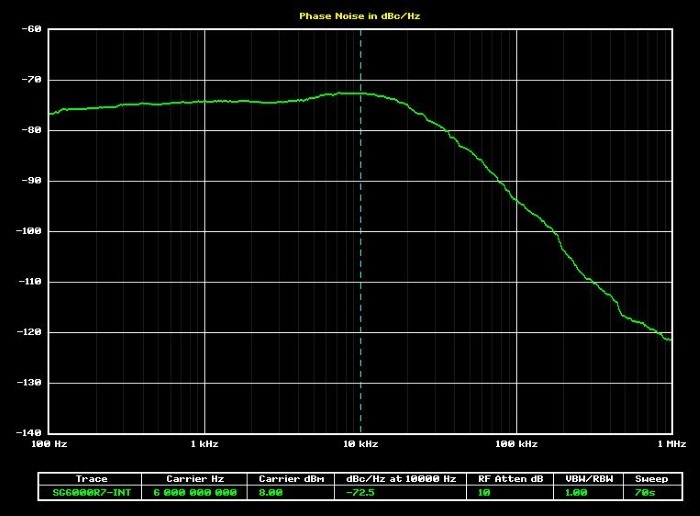 Output power is calibrated in 0.5dB steps from -21 to +10dBm, and un-calibrated output ranges from -40 to +15dB. 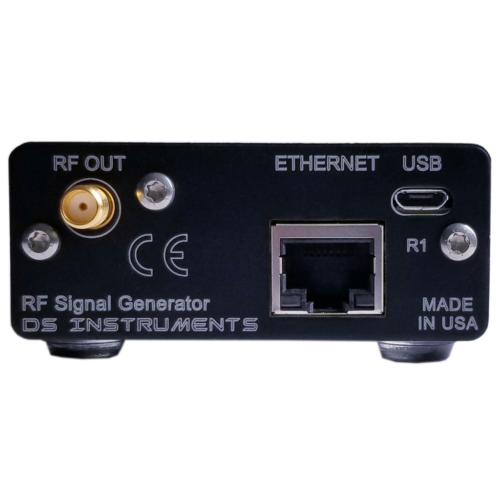 The RF output step size varies from a maximum of ~3 KHz to less than 40 Hz, depending on band of operation. The crisp OLED display provides useful feedback for the user, and front control buttons provide a quick alternative to USB control. 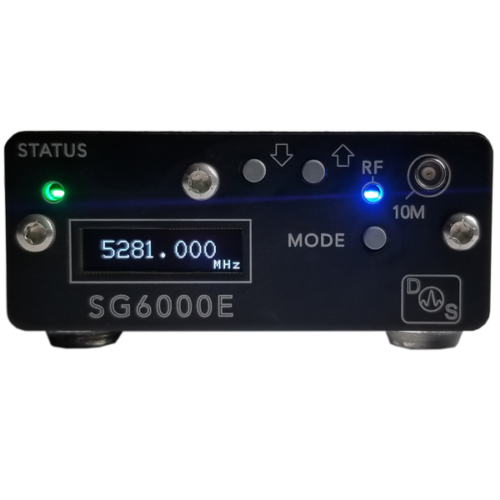 Like most of our products, the SG6000E easily fits in the palm of your hand, making it a truly portable and bench-space-saving device.